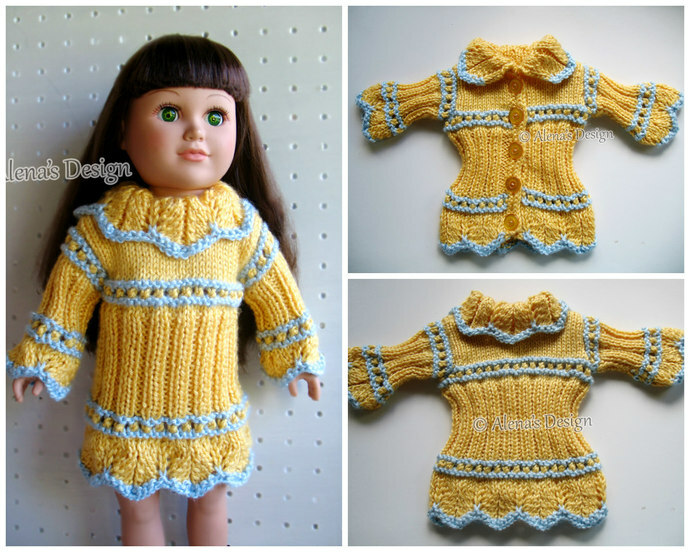 Easily knitted, stylish Doll Sweater Dress. 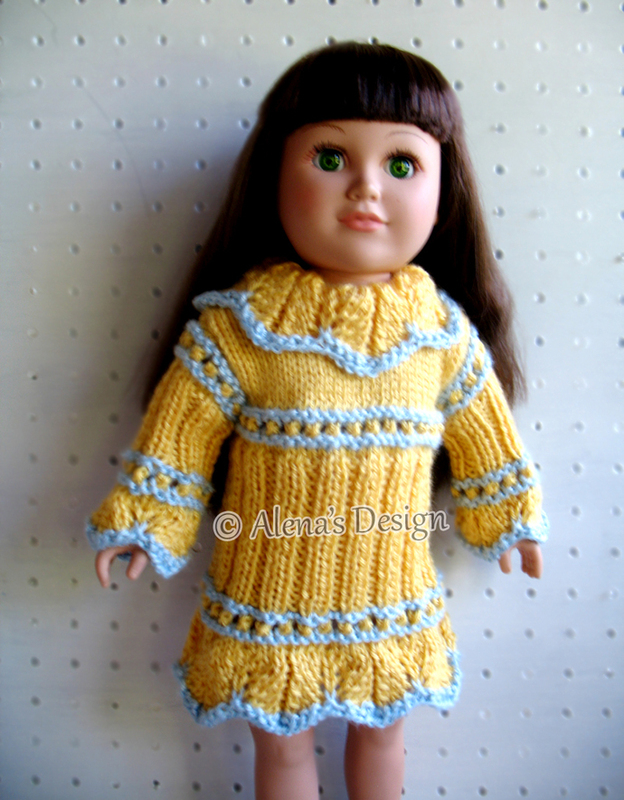 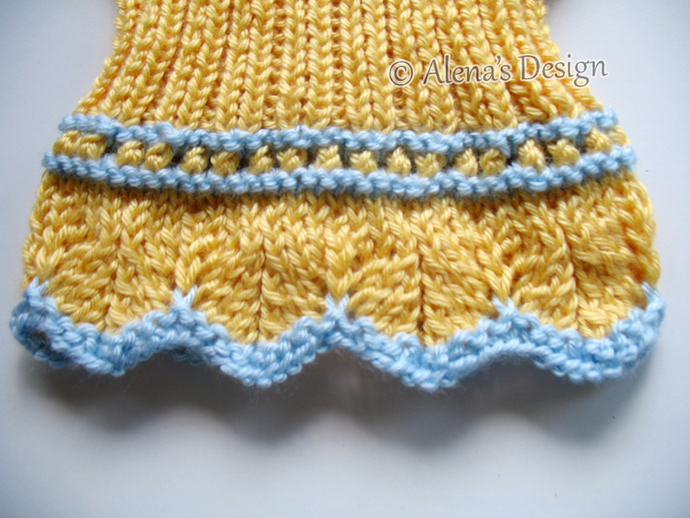 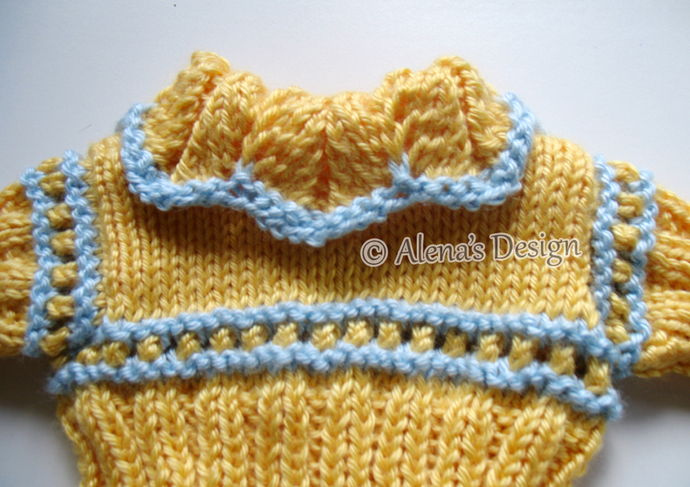 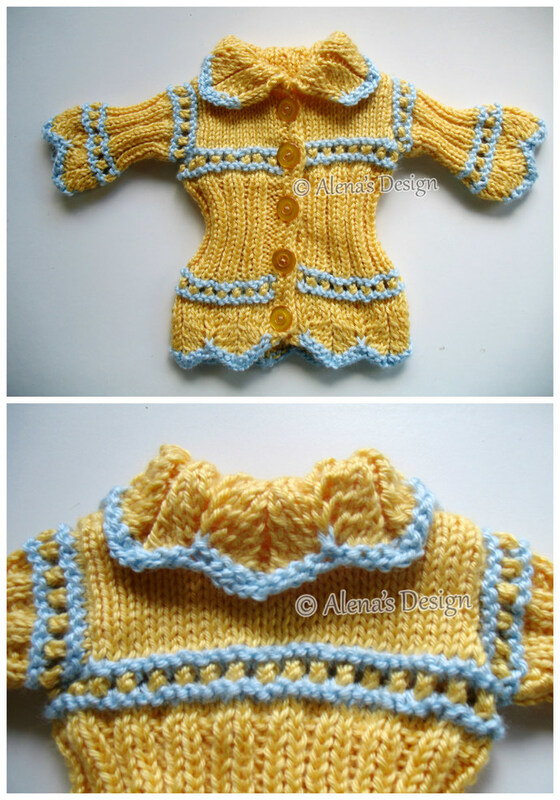 This pattern is to make a Sweater Dress for American Girl or similar 18 inch Doll. 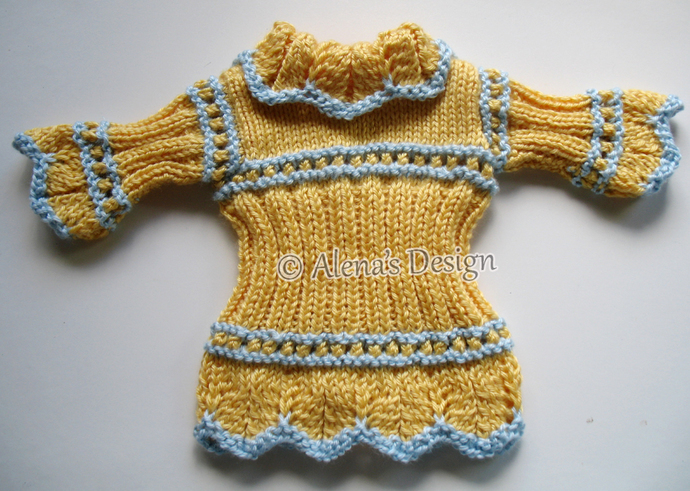 You have my permission to sell the finished product if you will credit me for the pattern with a link to my site www.alenasdesign.com when listing or selling the items made from patterns.